Deepak Talwar in ED custody. Corporate lobbyist Deepak Talwar has links with fugitive liquor baron Vijay Mallya, the Enforcement Directorate (ED) told a Delhi court on Thursday while seeking extension of his custody for interrogation. “Investigation has revealed his (Talwar) links with fugitive Vijay Mallya when both the said persons were evading the process of law and the investigation on the said aspect is ongoing for determining the trail of the tainted money in the instant case,” Special Public Prosecutors D.P. Singh and NiteshRana told the court. Investigation on routing of the funds through various entities registered in India and other countries will enable the agency to determine the beneficiaries of money laundering, they said. “It would also throw light on the involvement of the public officials and other persons connected to generation of proceeds of crime by the said accused (Talwar)/his associates as a syndicate,” the ED said adding that further custody of Talwar will help in ascertaining key elements of the case. Special Judge SantoshSnehi then allowed the ED to quiz Talwar till February 12. Talwar was presented before the court on expiry of his seven-day ED custody. 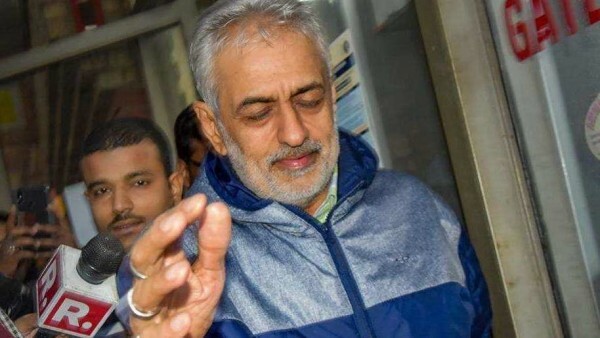 The ED told the court that Talwar’s custody is required as he needs to be confronted with documents as well as his son AdityaTalwar, who is abroad and his associate YasmineKapoor. It also told the court that the probe has disclosed Talwar and his family members were owners of eight offshore companies and the credit into the bank accounts of these companies are under investigation for uncovering the money trail. “The custody of Talwar is required to unearth the proceeds of crime laundered through these companies,” ED’s counsel said. Talwar’s counsel opposed the plea, saying that Talwar was forced to take names of politicians and that some companies were his. Talwar was deported from the UAE on January 30 night. He was presented before a court on January 31 which sent him to seven days ED custody. The ED said that Rs 200 crore was allegedly received in one of the bank accounts of a company of Talwar in Singapore and that he is being probed for his suspected role in the irregular seat-sharing on Air India’s profitable routes with some international airlines. Talwar had fled to Dubai after the Indian agencies started probing his role in concealing the income of more than Rs 1,000 crore as well as facilitating aviation contracts during the UPA regime.